One of these technologies is called circadian lighting. 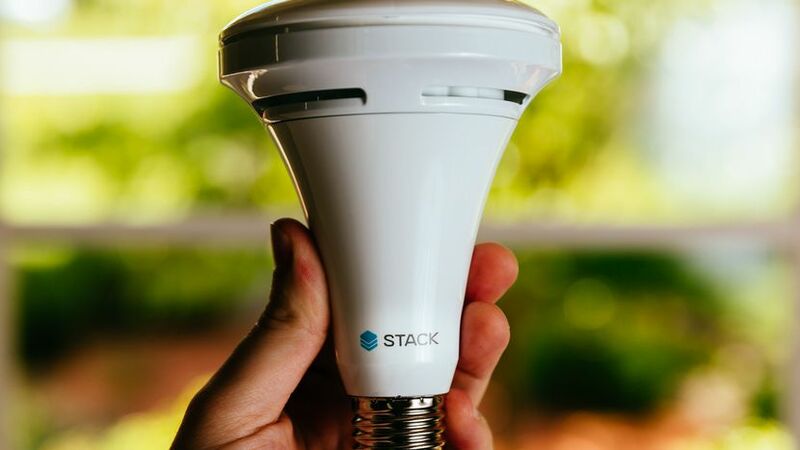 Eskaton Monroe Lodge partnered with Stack Labs and SMUDto outfit resident apartments with a new type of lighting that uses energy efficient bulbs designed to decrease consumption while increasing overall lighting that mimics the sun. Why are improvements in simple things like light bulbs so important to an older adult? Compared to a 20 year old, a 70 year old needs up to 80% more light, but is much more sensitive to glare. These circadian light bulbs are equipped with sensors that respond to movement and ensure residents no longer have to reach to find the light switch or unsafely navigate through a dark apartment in the middle night. At Eskaton Monroe Lodge, over an 18 month period, three phases were enacted to plan out where the lighting would go, how participants would use it, and where specific needs were -- taking into account resident lamps that are heirlooms and may not fit the new bulbs. Fifteen residents in 13 apartments were chosen to be a part of the program, becoming the earliest adopters in the pilot. High satisfaction is reported amongst the residents who volunteered for the initial pilot. The participants range in their technological knowledge. The lighting can be controlled on a smart phone or tablet if the resident desires. One participant, Marie, said her friends are jealous of her new lighting and are anxious to take part in the next incarnation of the pilot. Eskaton is hopeful that introducing smart lighting to residents will increase independence and safety, improve sleep and overall quality of life. The initial report by SMUD already shows a 22% decrease in energy used in each apartment installed with the new lighting. A media event taking place on May 23 will present the results of the first phase and announce the expansion of the circadian lighting pilot to Eskaton Village Roseville and an upcoming development in Burlingame. Eskaton is committed to being at the forefront of technological advancements that bring comfort, safety and peace of mind to its residents.